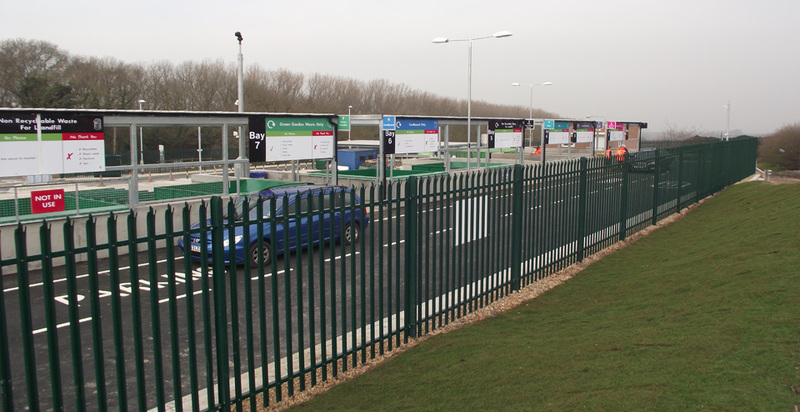 This is another HWRC undertaken for leicestershire County Council as part of G F Tomlinson’s involvement in the partnering framework for waste recycling and civils works. The facility will be used both by the trade and general public. The public route has a typical highway construction of flexible surfacing on sub base founded on mainly site generated fills. The lower levels are constructed of reinforced concrete slabs, beneath which a new surface water drainage system, consisting of pipe work, interceptor, and rain water storage cells have been constructed. A new site operators office of traditional brickwork construction is situated at the upper level. 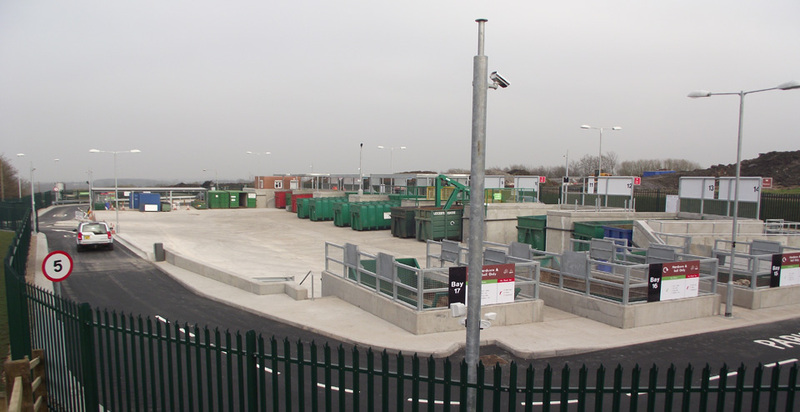 Protection around the skip filling areas is provided by a combination of steel barriers and steel mesh fencing. 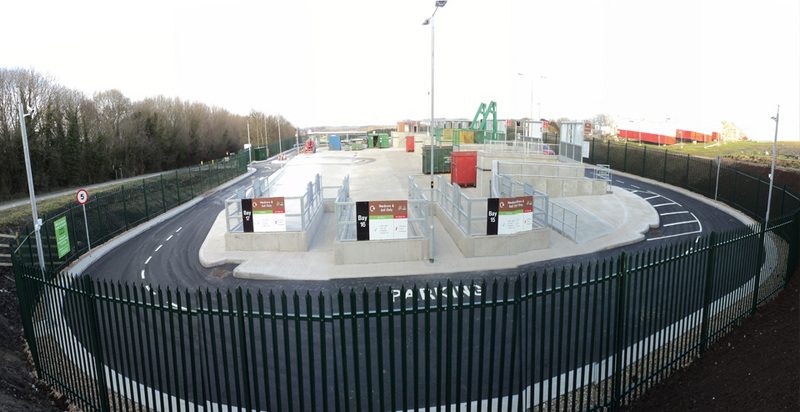 The finished project has created a split level facility with a ramped circulatory route for public users and low level central area for service vehicles. The site has been completed by a new security fence around the perimeter and landscaping to improve the final appearance.